Stress is a serious issue that can affect us from childhood until we are senior citizens. Not only can it impact your quality of life but it can also affect your health. Stress can especially become a serious problem for individuals at an advanced age. So, what can you do to eliminate stress once and for all? When you are in your golden years, you may begin noticing that many of your day-to-day chores are becoming more and more difficult, time-consuming, and exhausting to do. This will not only take up all of your time and energy, leaving you too drained to pursue the things you love, but it can also cause immense levels of stress. In order to help combat that, a provider of non-medical home care in Winter Haven, FL can handle many of these activities for you. This means you will be able to focus on what you love rather than wasting time with trivial and mundane tasks. What better way to step back and relax than with a hobby? Stress can cause anxiety, depression, and more, so it is important to take the time to relax and have fun. A hobby will not only provide nearly instant stress relief, but it may even shed light on different angles or possibilities when solving the issues that cause your stress. Exercise is not only a good way to maintain your health, but it is also a good form of stress relief. Not only will you improve your health, which alone can be a good way to relieve stress, but it also has a direct impact on your moods. When you are exercising, the body releases endorphins which are responsible for improving moods and relieving stress. 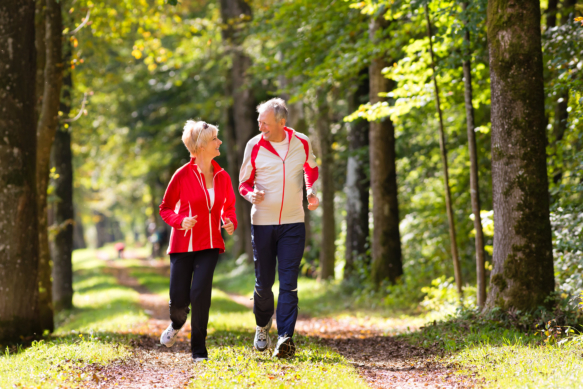 Through our companionship care in Florida, we can help you exercise safely and effectively. Those are just a few great ways to maintain your health and reduce the stress you experience on a day-to-day basis. If you would like to find out more about this or about our exceptional home care services, please do not hesitate to get in touch with our team at Compassion Home Care for more information. This entry was posted in Senior Health Care and tagged elderly care, In-Home Care, Stress free. Bookmark the permalink.